João Ferreira Annes d’Almeida, or simply João Ferreira de Almeida (Torre de Tavares, Portugal, 1628 – Batavia, Indonesia, 1691) was a preacher minister of the Reformed Church in the Dutch East Indies, especially recognized for being the first to translate The Holy Bible for the Portuguese language. (…) The first single-volume edition of a complete translation of the Bible into Portuguese was printed only in 1819 in London. Besides the translation of the Bible, João Ferreira de Almeida also wrote some works against the teachings of the Catholic Church. 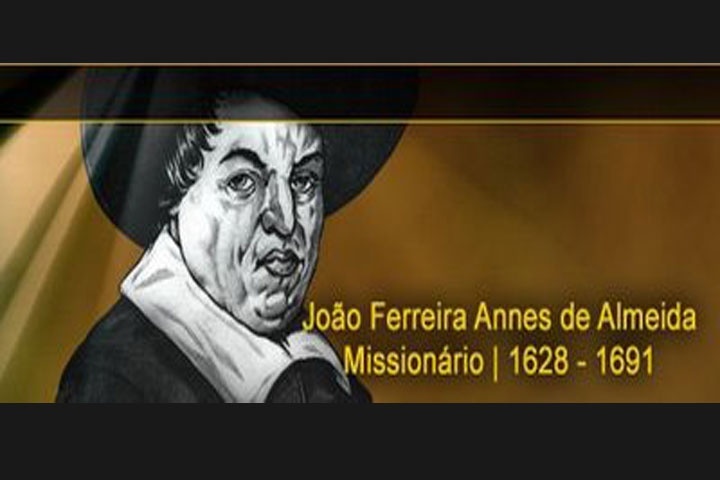 In 1642, at the age of fourteen, João Ferreira de Almeida left the Catholic Church and converted to Protestantism. While sailing between Batavia and Malacca, both Dutch possessions in the East, Almeida was able to read an anti-Catholic treatise in Castilian, titled “Difference of a Christandade“, later translated by him in Portuguese language. This pamphlet attacked some of the doctrines and concepts of Roman Catholicism of the time, including the use of Latin during religious offices. This caused a great effect in Almeida, so that, when arriving at Malacca that same year, it joined the Dutch Reformed Church and it was dedicated immediately to the translation of passages of the Gospels from Castilian to Portuguese. Two years after rejecting the doctrines of the Catholic Church, João Ferreira de Almeida embarked on a huge project: the translation of the whole New Testament into Portuguese, using as a basis the Latin version of Teodoro de Beza, also referring to translations in Castilian, French and Italian. The work was completed in less than a year, when Almeida was only sixteen years old. The main principle of translation used by Ferreira de Almeida was that of formal equivalence (following the syntax of the original text in the target language), and he utilized the Textus Receptus as textual basis. His Portuguese style is described as “classical and erudite”; the Brazilian Bible Society states that Ferreira de Almedia sought to reflect both the form, style, and language register of the original texts in his translation. (…) the Inquisition had ordered that a portrait of Almeida be burned in a public square in Goa. It was also during the stay in Ceylon that probably the translator met his wife and got married. From Roman Catholicism to Protestantism, like him, he was called Lucretia Valcoa de Lemmes (or Lucrecia de Lamos). (…) Later, the family was completed, with the birth of a boy and a girl. Being considered one of the first Protestant missionaries to visit that country, since he served as a converted missionary in the service of a foreign country, and also because of the direct exposure of what he considered to be false doctrines of the Catholic Church, as well as to the denunciation of moral corruption between The clergy, many among the Portuguese-speaking communities came to regard him as apostate and traitorous. These confrontations resulted in a trial by a court of the Inquisition in Goa, India, in 1661, being sentenced to death for heresy. The governor-general of the Netherlands called him back to Batavia, thus avoiding the consummation of the sentence. At the same time, he resumed the work of Bible translation, which began in his youth. It was only then that he came to dominate the Dutch language and to study Greek and Hebrew. In 1676, Almeida informed the presbytery that the New Testament was ready. Then began the translator’s battle to see the published text – he knew that the presbytery would not recommend printing the work without being approved by reviewers appointed by the presbytery itself. And also that, without this recommendation, he would not be able to obtain other necessary permissions for the fact to materialize: that of the Government of Batavia and that of the East India Company in Holland. In October 1691, Almeida died. 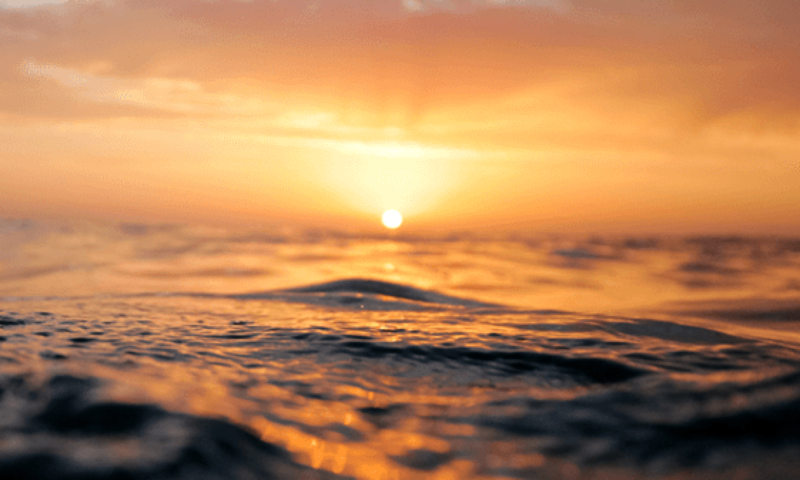 On that occasion he had come to Ezekiel 48:31. The translation of the Old Testament was completed in 1694 by Jacobus op den Akker, a Dutch Calvinist pastor. After going through many changes, it was printed in Batavia, in two volumes: the first in 1748 and the second in 1753. Between October 2006 and March 2007, the RTP1 television program, The Great Portuguese, held a popular vote to choose The Great Portuguese. That vote, indicated João Ferreira de Almeida as the 19th most important character in the history of Portugal.